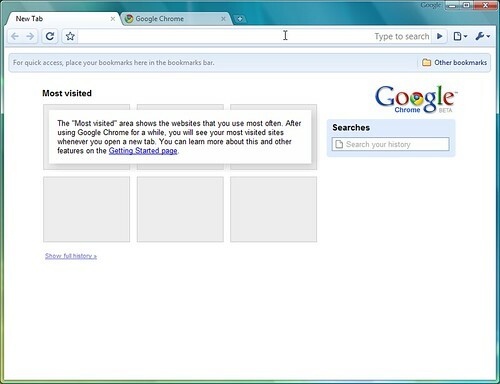 When opening a tab,Chrome displays the frequently visited and recently closed websites for quick selection. This is very practical for personal use,when other people view it or use the browser,they get to know about your surfing habits at the first glance. As a quick solution,you can hide the display first.For that,open a new tab with the key combination [Ctrl]+[T] or by clicking the plus near the tabs.To the top right of this page,click the small arrow "Change page Layout".There,you can deactivate both options "Frequently visited" and "Recently closed"one after the other. The settings remain the same.In future,new tabs open without preview images so that nosy people will not be satisfied.However they can still check your history and cookies. To remove all traces of undesired sires,you have to delete browser history.The start page will then be blank. CityVille now bigger than FarmVille! Is This The Galaxy S Mini? No Waiting For Free Users in Rapidshare! Download unlimited Files From Rapidshare! Windows 8 to run on ARM CPUs? Hack into Windows Xp Without Changing password! Motorola DEFY short review, price and specs! Nokia C5-03 review and full specs.